Organized And Creative Mom. Powered by Blogger. I am so looking forward to this weekend. I am spending tomorrow with 30 lovely ladies at an All-Day crop, and of course Sunday is Mother's Day, so I will be spending it with all three of my boys! I am doing a Make &Take at our crop tomorrow to introduce our ladies to Copic markers. I have been playing with mine non-stop since my certification and I am in love! 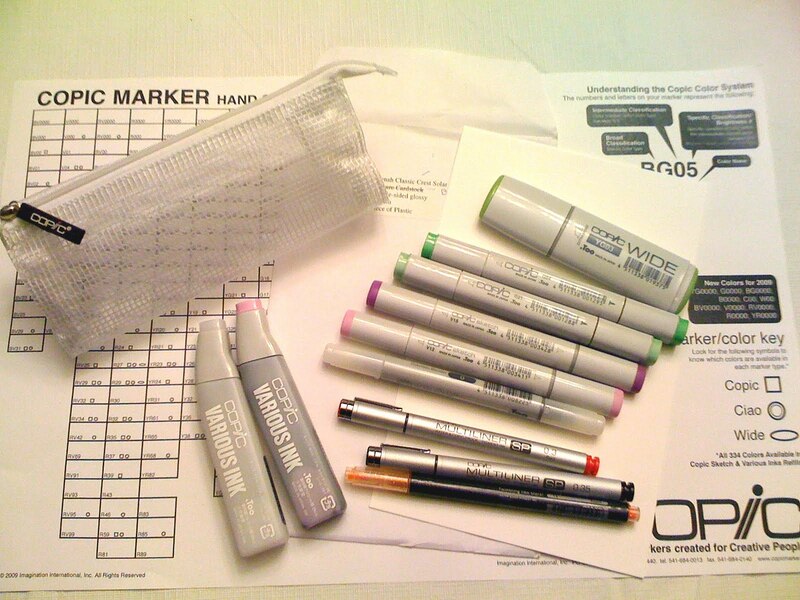 1) Suzanne Dean has an extensive list of Copic videos and tutorials on her site. Make sure to check out her latest projects featuring a summery stamp set and using Copics on fabric bibs and onesies. The possibilities are endless with Copics and I love all of Suzanne's Projects! 2) I took my certification from the wonderful and talented Sherrie Siemens and her blog has some great tutorials including one on coloring skin with Copics. 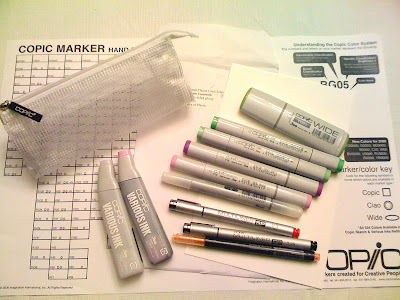 3) Colleen Schaan is another regional instructor for Copic and her blog is chock-full of Copic info as well. 4) And, I like the info presented on Sparkle Creations blog too. 5) And just because it's Mother's Day on Sunday, I had to inlcude this beautiful list of links to cards, gifts and projects for Mother's Day. I hope that get's you started - if you're like me and you start checking out links, you'll be at it all day! But what a nice way to spend part of your Mother's Day weekend! Have a great one and we'll see you back next week for more DT scrap spaces tours! I love to hear your comments and questions! Thanks for stopping by! I'm Noreen - welcome to OCM! I'm a wife, mom of two boys, teacher, scrapbooker and home-body. I love to share ideas to help you organize, save and celebrate your important memories. Get product updates, launch info, and special deals by signing up for my product newsletter! I hate spam, will only send the good stuff and will keep your contact info strictly confidential...cross my heart! Visit Noreen's profile on Pinterest. Winter Blog Hop with Creative Life Scrapbooking! Weekend Web Round-UP - May 21st. Button, Button...Who Is Making Buttons? Gearing up for another move! Subscribe To The OCM Blog!